The specification of the thickness of glass panes is an optimisation process between a required mechanical strength and efficient use of materials. 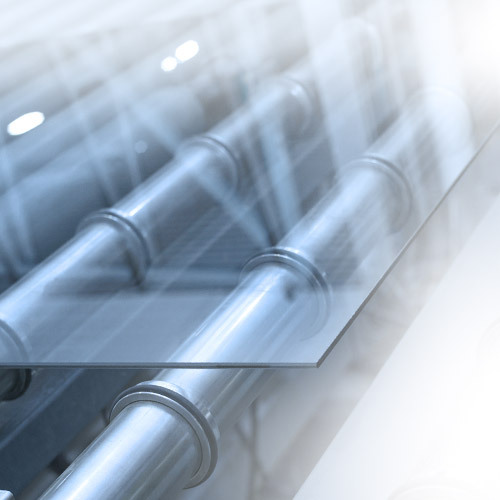 In the manufacturing process the glass thickness is measured and the conformance to prescribed tolerances is monitored. The measurement is carried out with displacement sensors working on the eddy-current principle. Here, the sensor hovers over the glass surface and measures through the glass to a metal plate situated behind it. The values can be read off directly on the device; an analogue output voltage facilitates further evaluation.